The CDO title has been around for almost six years as companies realized the business value of their data, and that they needed someone to rein it in. Now, as companies move into the post-infrastructure era where data is moving outside the organization and into the cloud, one Gartner analyst suggests that the CDO could be responsible for more than just managing data, understanding where it resides and who uses it. He could also focus on “strategies to improve the protection of that data as it lives in infrastructure that you don’t control anymore,” says Peter Firstbrook, a Gartner research vice president. 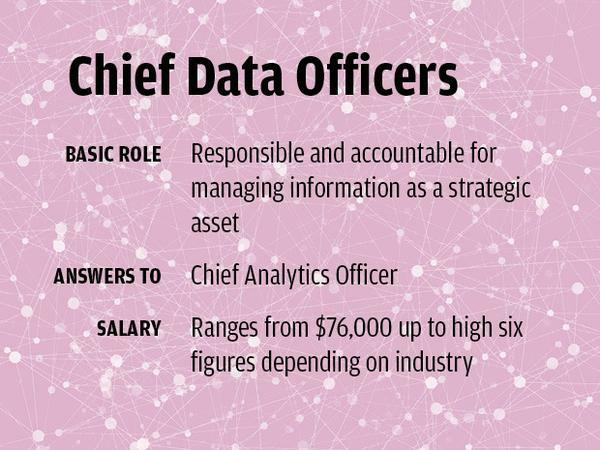 Today, there are only about 1,000 chief data and chief analytics officers in the world, according to Gartner. By 2019, Gartner predicts that 90 percent of all global enterprises will have appointed a CDO. But exactly what the CDO’s responsibilities are and how companies will manage the overlap of duties in the C-suite remain to be seen. For starters, the CDO’s responsibilities over governance, data risk and compliance may overlap with the duties of the CISO, according to industry watchers and current CDOs. A new chief in the C-suite can trigger confusion, uncertainty, resistance and even conflict, says Mario Faria, research director with Gartner’s CDO/CAO, information and analytics research team, which helps guide CDOs in their new roles. “Each CDO means something very different” to every vertical and every company, says Justin Cerilli, managing director at executive recruiting firm Russell Reynolds Associates, which has seen the number of searches for data and analytics officers double every year since 2013. Most financial services organizations need a CDO to manage data risk and compliance. Consumer packaged goods or healthcare organizations hired CDO to drive cost efficiency and cost reduction, while most media and marketing companies want CDOs to drive extra revenue. Each responsibility requires different skills, and the ranking of most desired skills has shifted dramatically in the last few years, Cerilli says. CDOs and executive search pros offer their views on the CDO role and how it fits into the C-suite. Derek Strauss became TD Ameritrade’s first chief data officer in 2012. He has developed a collaborative relationship with the CISO on issues of data security and considers himself a mediator between the CISO and business units. Their relationship continues to evolve as the company ramps up its analytics environment. Their biggest challenge continues to be “marrying up the need to secure the data and the need to give access to it,” Strauss says. Both Strauss and the CISO report to the COO. At US Bancorp, “We have a CISO who is more focused on perimeter data security. My focus is more data governance in-house, as well as supporting our analytics initiatives,” says Kay Vicino, senior vice president and chief data officer. “I report to the CIO. Previously so did the CISO,” but he now reports to the vice chair of tech and ops, she adds. Gartner’s Faria says there are no right or wrong models. He has seen organizations where the CSO reports to the CDO, where the CSO reports to the CIO or to a COO, and where the CISO and CDO don’t report to the same leader at all. “It’s just very important to identify clear responsibilities,” he adds. 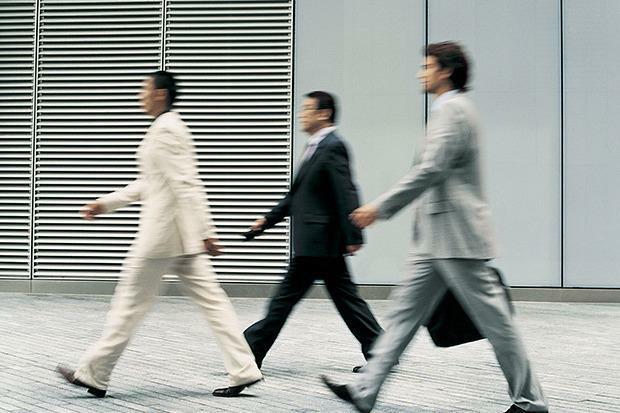 In some cases, the CISO and CDO may share responsibilities but report to different executives. In many financial services companies, for instance, the CDO reports to the CFO to ensure the data they’re protecting falls in line with the regulatory requirements, Cerilli says, but sometimes the CISO has owned the IT risk. “This is where we’re seeing a lot of overlap,” he says. Financial institutions may need a CDO with risk and compliance experience, but what if it also wants to drive better customer and employee experiences, drive growth or innovate through data and analytics? “That’s a very different CDO,” Cerilli says, which makes finding qualified, experienced candidates more challenging. For starters, the CDO role has evolved over the last few years from a technically-driven position to a more visionary role. In a recent survey of CEOs by Russell Reynolds, technical depth dropped to sixth place among the most important skills required for a CDO, behind stakeholder management, storytelling and communication skills, being a visionary, the ability to execute and commercial acumen. The shortage of qualified candidates for CDO roles has led to some failures, Cerilli says. “It’s tough to find people who have driven this type of change before,” he says. “People are being asked to step up into roles that they’re probably not ready for, and they’re probably being promoted for their technical acumen. However, what’s going to make you successful is less about that and more about how you navigate an organization and influence them to start using data as a tool.” As a result, some technical experts flounder in this role, Cerilli says. Companies have also hired consultants who are experienced in change management for the CDO role, but most are better able to present a solution than to own and execute it, he adds. One chief data officer believes that the CDO movement is just industry hype, and that five years from now they will disappear from the C-suite. “Many companies appoint CDOs because they feel the pressure around them,” says Dimitris Agrafiotis, chief data officer at Covance. The CDO role “will ride the hype curve – and when many of these companies get disappointed by the results because of the people they hire for these roles, the pendulum will swing” and their responsibilities will be absorbed by other departments.